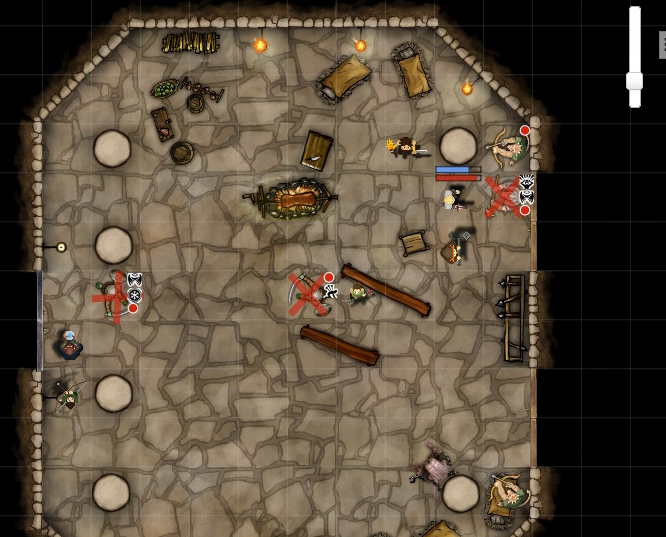 Dragonforge and Associates continues its clean-up of the Goblin and Kobold infested room. Flessa gets out her hammer, which leads to a series of jokes you might expect. A prisoner is rescued, and a door is opened. Melech is good at orbs, everyone does the Funky Diagonal, and a Kobold Worm Priest has a really confusing day.